William and Catherine Booth’s vision for a Christian movement that would reach out to the unloved and disadvantaged in society who felt excluded from church at that time. In 1914 the Army shared in the national tragedy of the sinking of The Empress of Ireland in the St. Lawrence. On board were more than 120 Salvationists, bound for an international congress in London. Most of them, including the national commander and members of the Canadian Staff Band, were drowned. The Staff Band was not re-formed until 1969. 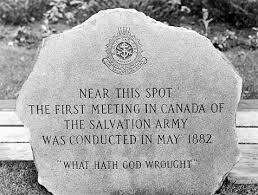 All of this demonstrates the unique ability of The Salvation Army to respond to urgent needs – the Halifax explosion and Winnipeg flood being examples. It also reflects the ingenuity, efficient use of resources and a genius for improvisation, which the organization’s quasi-military structure fostered. It showed government that in most things the Army could get the job done with greater efficiency and at less cost than almost any other agency, and at the same time it forged a bond of trust between the people of Canada and the ‘Sally Ann’; a trust that continues to this day. 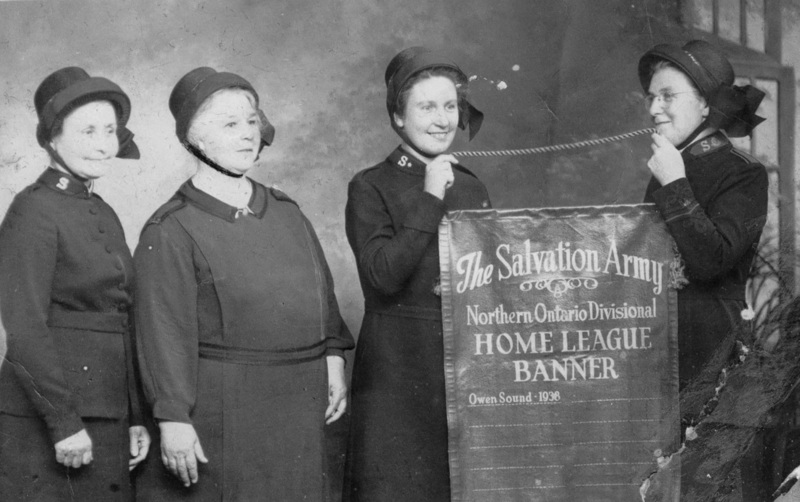 The Canadian Salvation Army has produced many outstanding leaders, not only for the domestic scene but also for the international movement. In 1975, Clarence Wiseman was elected General (international leader) of The Salvation Army, to be succeeded in 1977 by Arnold Brown. Bramwell Tillsley became General in 1993, but had to retire the following year owing to ill health and currently the Army’s delegate to the World Council of Churches is a Canadian. The Salvation Army is now the largest non-governmental direct provider of social services in the country. It strives to give hope and support to vulnerable people today and everyday in 400 communities across Canada and 118 countries around the world. The Salvation Army offers practical assistance for children and families, often tending to the basic necessities of life, provides shelter for homeless people and rehabilitation for people who have lost control of their lives to an addiction. Today in Canada The Salvation Army has 915 active officers (clergy), more than 23,000 soldiers (church members) and close to 48,000 adherents; that is, people who claim the Army as their church home, but who are not formal members. There are 311 corps (churches) and more than 330 social-service institutions of various kinds. As well as the many thousands of volunteers, almost 9,000 people are employed by The Salvation Army in the Canada and Bermuda Territory. Fifty-five Canadian officers and lay staff also serve overseas in countries from Papua New Guinea to South Africa.